Unai Emery believes Arsenal can reap the benefit of Mesut Ozil’s international retirement when the Premier League returns this weekend. Ozil, 29, retired from Germany duty under a cloud following their poor performance at the World Cup and politics within the camp. He has been able to train with Arsenal throughout the recent international break and – ahead of Saturday’s trip to Newcastle – Emery feels he has enjoyed a rest from playing. “The players have the habits to play in the international break, in important matches, defending their identity and when one player stops doing that, I think it is also good for them to focus only on their team,” he said. Emery also insisted he does not know if chief executive Ivan Gazidis is set to quit the club to join AC Milan. Speculation that Gazidis – who oversaw Emery’s appointment to replace Arsene Wenger in May and has also been behind the change in management structure at the Emirates Stadium – will depart for Italy has intensified this week. “First of all, every conversation with him is speaking about us and about our work here every day. I don’t know any other news from him,” Emery added. 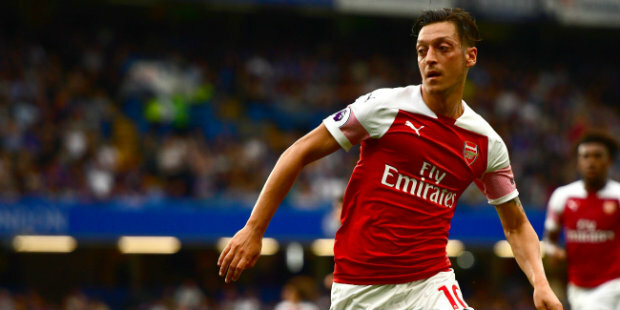 Be the first to comment on "Emery: Arsenal might benefit from Ozil’s international retirement"